Australia has one of the highest rates of allergic diseases in the world. Despite some funding from the Australian Government, we must do more. A five year, whole of health approach is needed to combat the rise in allergic diseases and to improve the health and quality of life of those living with allergic diseases, through a range of strategies. The National Allergy Strategy has submitted an election plea for funding to all major political parties. We need to show Australian politicians that allergy is an important issue that affects the lives of many Australians. If allergy impacts on your life, or the life of a family member or friend, please support the National Allergy Strategy's $20 million election plea by signing this petition and sharing it with family and friends to sign as well. 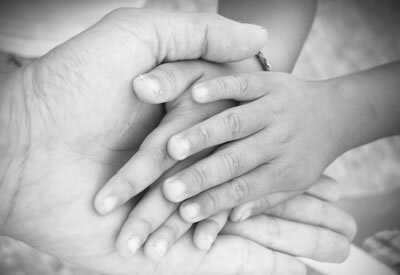 The Australasian Society of Clinical Immunology and Allergy (ASCIA) and Allergy & Anaphylaxis Australia (A&AA), as the leading medical and patient organisations for allergy in Australia, have developed the first National Allergy Strategy for Australia, in collaboration with other stakeholder organisations. Development of the National Allergy Strategy has enabled the identification of strategies to improve and optimise the management of allergic disease and help prevent food allergy where possible. We continue to increase awareness of allergic disease nationwide in line with our mission to improve the health and wellbeing, and therefore the quality of life of individuals with allergic conditions and those who care for them. The National Allergy Strategy received funding from the Australian government to implement a food allergy prevention project based on the ASCIA guidelines for infant feeding and allergy prevention. 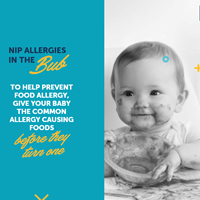 The pilot phase of this project has now been launched and the Nip allergies in the Bub website has been created. See the website at www.preventallergies.org.au. You can learn more about the project and the pilot phase now. Now available! We have worked with key stakeholders to develop resources for hospitals and other institutions to assist with safe food provision for people with food allergy. Food allergy and intolerance policy and audit tool templates have been developed along with a food allergy and intolerance ingredient substitution table. A Food Allergy and intolerances Menu Assessment Tool for dietitians has been developed in partnership with the Dietitians Association of Australia. Every project is a new challenge to positively impact on life for people with allergic diseases.